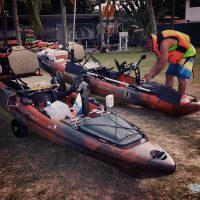 I decided to start this blog to chronicle my fishing adventures in a structured and consolidated manner. Also, I hope that I can share my musings and opinions here without having to engage in lengthy debates with other users as is sometimes the case at fishingkaki.com. It’s good that some people are willing to debate opinions but sometimes, I just want to state my opinions without having to defend them vigorously. I do not intend to remove from you, the option to contest my statements. So feel free to comment on my posts but as mentioned, please do not expect me to reply to them. I also hope that people will be able to appreciate that not everything expensive is better. 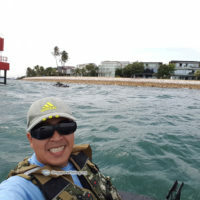 There seems to be some very vocal pockets of anglers (and indeed Singaporeans) who believe that anything cheap is useless. These people cannot easily be changed but I hope that through some of the content posted here, other budget anglers will be able to make an informed decision when investing in more expensive gear which can be based on knowledge of cheaper alternatives available so that they are not easily convinced to invest in expensive equipment only to be told later by friends that they should invest in something else now. Not everything expensive is good and not everything cheap is bad. More often that not, cheap things work well not because they are good, but because they suit either you or their purpose well. Do not be fooled. I am ready to invest in quality products but I am also a bargain hunter and am not afraid to buy cheap things if I find they work well and have good value. Do not be afraid to be taunted by friends or be called stubborn because you have decided to make your own informed decision. That being said, under no circumstances assume that you are always right. Listen to the “lao jiaos” with an open ear but do not be afraid to come to your own conclusions or to throw some salt on their advice. As with all spices, it may sometimes sting so if you are going to instantly throw an alternative argument at them, do try to be civil. Even high end boatmen will sometimes impose their “advice” on you and taunt you for making your own decision. Most local anglers who fish on boats know who these people are. By trying to be informative on details, I hope that you will be able to come to your own conclusion. This domain was registered in Oct 2006 but this blog was started in December 2011. Hi. I like the site. Good stuff. I’m from Florida and have done a fair but of fishing. My sons (5 yo) are now at the age where I want to get them into it. 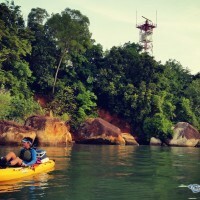 Do you have any suggestions for sites, spots or fishing clubs with a kid focus in Singapore? Thanks for the compliment and welcome to Singapore. I got hooked as a kid when I caught my first fish on my first fishing trip to Changi beach. Sadly, that place no longer exists. I did get rehooked on fishing while at Bedok Jetty though. A cheap 5-15 reel combo and fishing for Tambans with Tamban hooks at Bedok jetty is almost a sure fire thing. I’m afraid I don’t know of any fishing clubs for kids and google wasn’t very helpful either. hi, interesting site. i am new to this, and thinking of buying the seahawk 2 for fishing. base on your experience is it possible to roll this from Pasir Ris to Ubin? 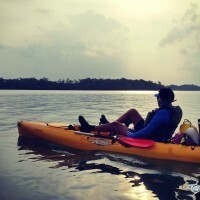 if not, what about around seletar island? Or any place that is safe to use this boat for fishing? It is indeed possible but it will be difficult. You should plan your trip with the tides though, or more accurately, you MUST plan a trip where the currents are not strong. You also need to be able to cross the channel safely as there is a lot of traffic there. 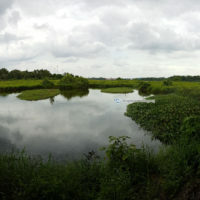 For both these points, it is better at Seletar Island but still not ideal. You could use that boat in the mangroves of Ubin though. You could also try it at some of our saltwater rivers. There’s one near Seletar Island but there are a lot of sharp rocks on the shorelines. You’ll probably be fine with getting around those but you could get stuck if the tide goes down. There was a video recently about a guy who brought his kayak into the reservoirs but he didn’t do any fishing. Basically, for salt water, anything East of Ubin should be a no go and anything West (up to the Causeway) is a manageable risk. Avoid the South of Singapore. Thanks for sharing your experience with us. I am from Mauritius and one of my cousin would drop by Singapore on a stop over for one day to buy some tackles in September. We both fish on slow jigging on kayak in Mauritius. Would you know in which tackle shop in Singapore we could get this rod? Is there any other slow jigging rod you could recommend for long fall (7’6 and longer)? I am not very familiar with slow jigging but my friend Nigel is. He too runs a blog at http://www.baktao.com. A quick google search suggests that the only shop that carries the Palm brand is Fishing Buddy. They have a website at http://www.fishingbuddy.com.sg.